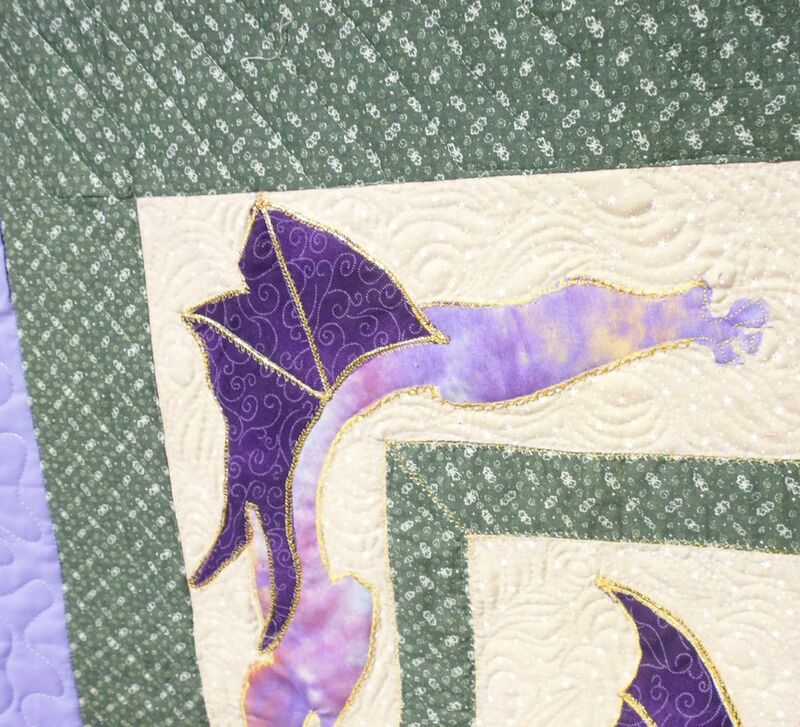 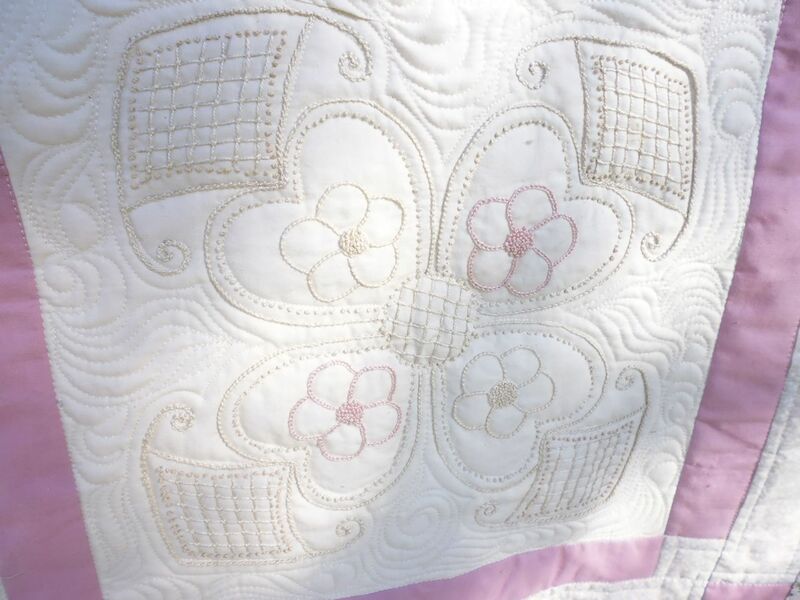 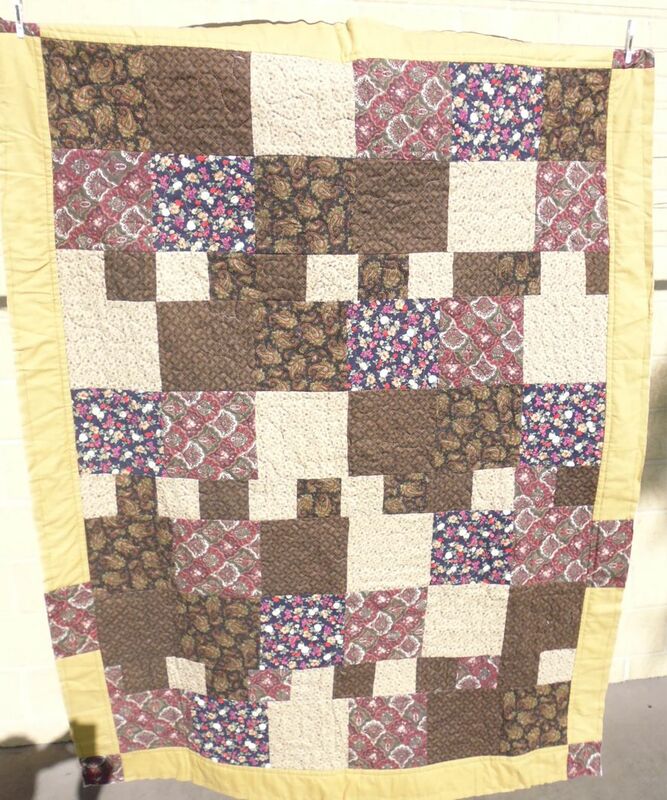 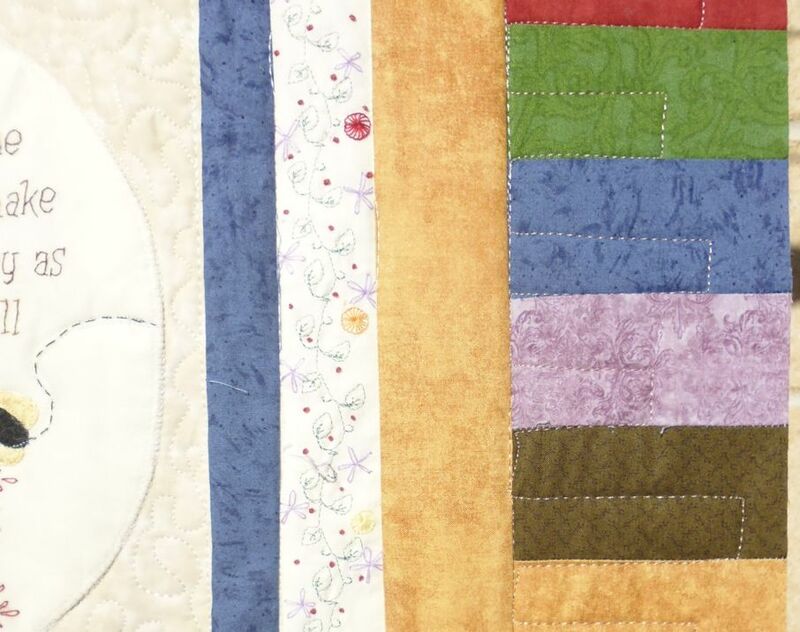 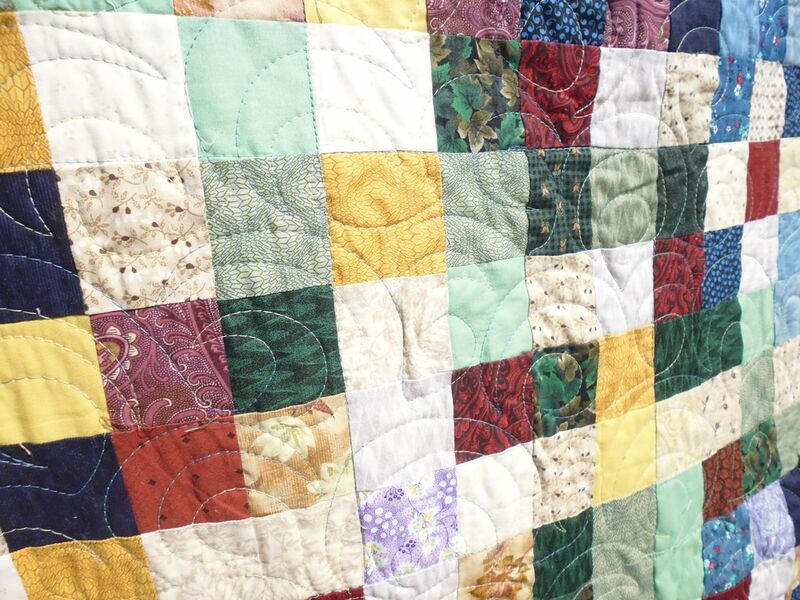 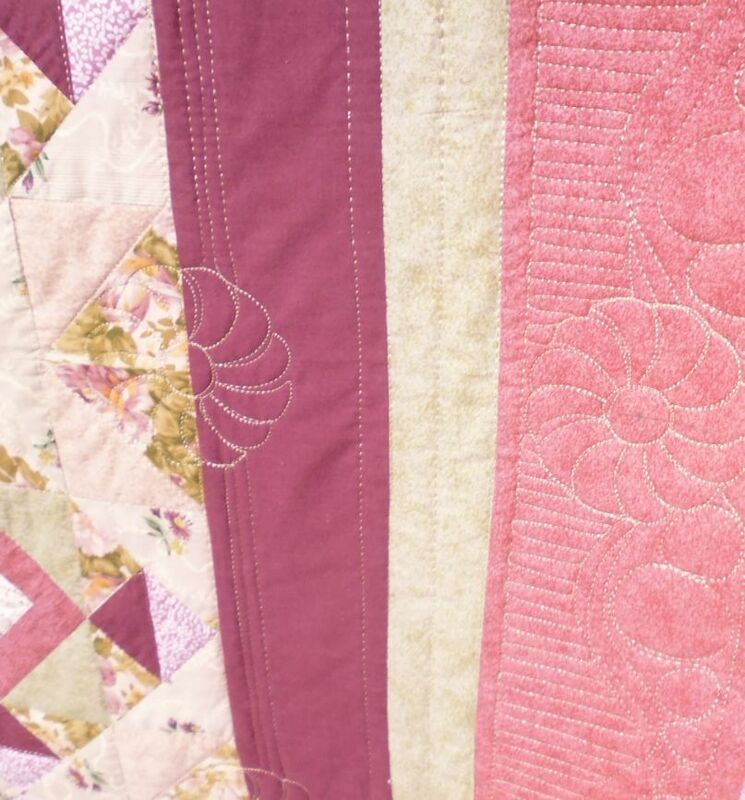 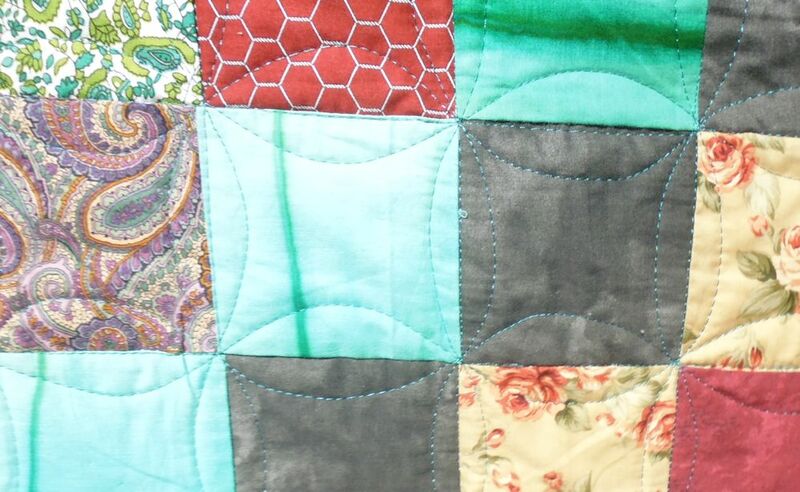 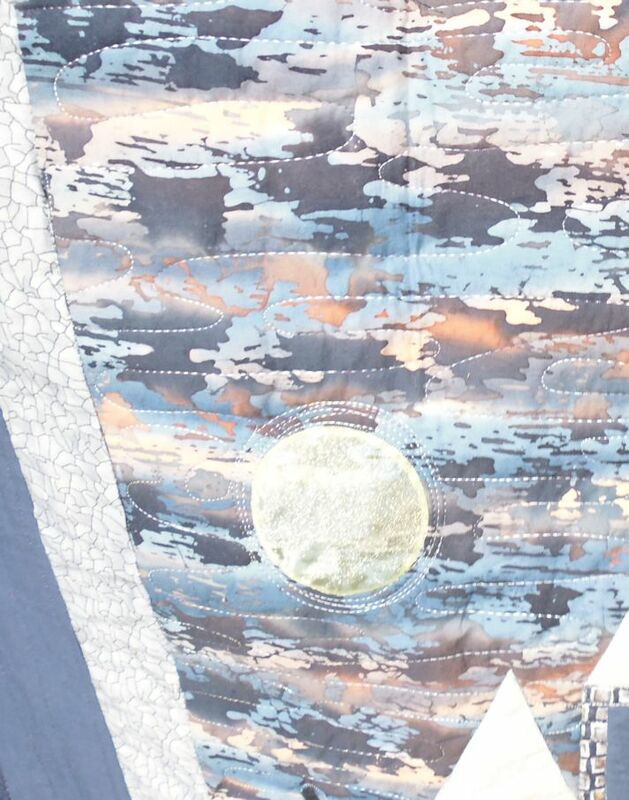 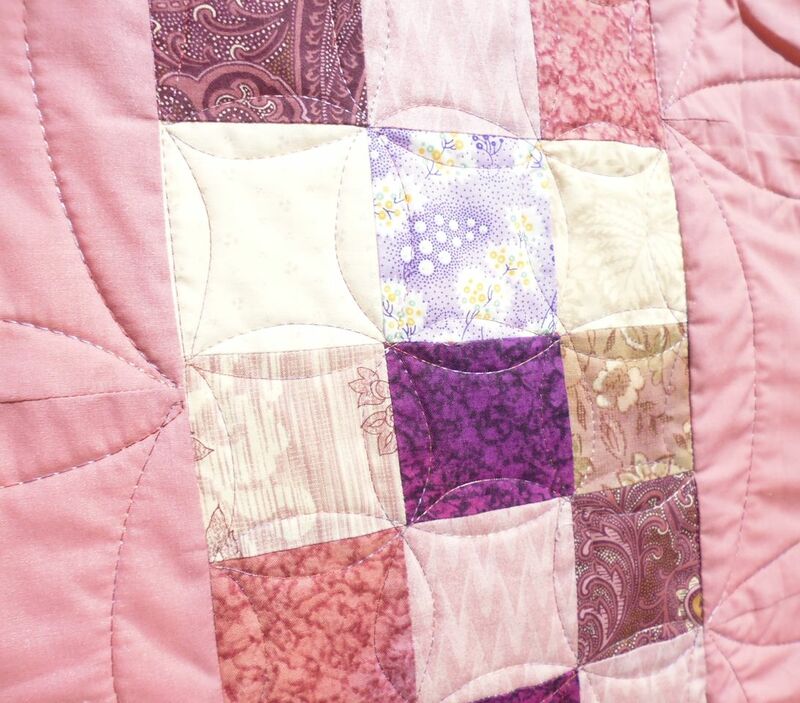 I’ve been busy with all sorts of things in the past couple of months, so while I’ve quilted 15 quilts and taken photos of them, it wasn’t until today that I got around to processing the photos and putting them up on this blog. 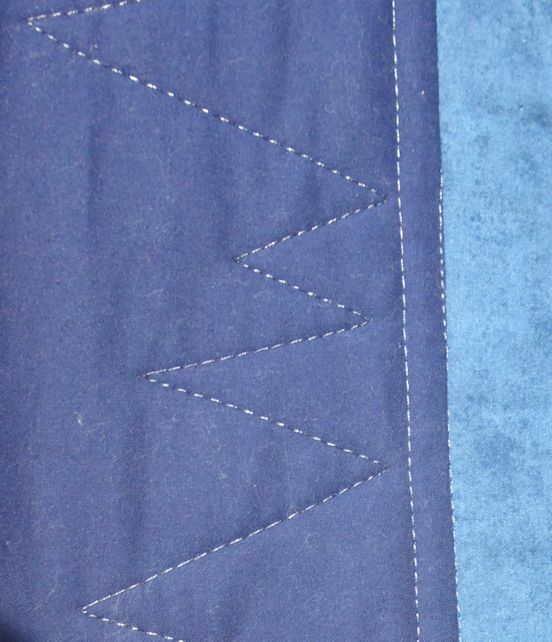 Because I’ve forgotten what I did and what threads I used for most of them, I’ve put all into this one post. 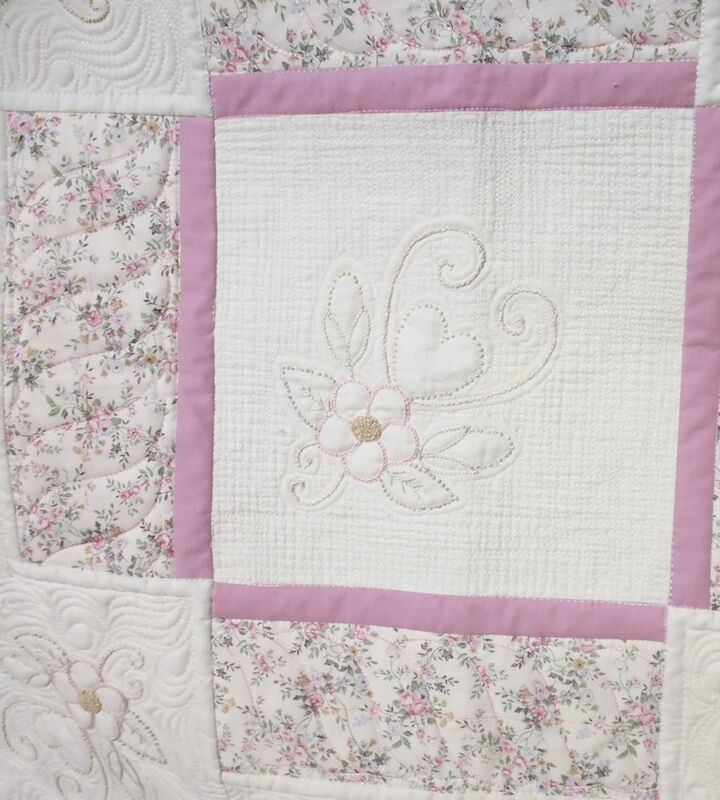 I’ve only made comments for any that were exceptional for some reason. 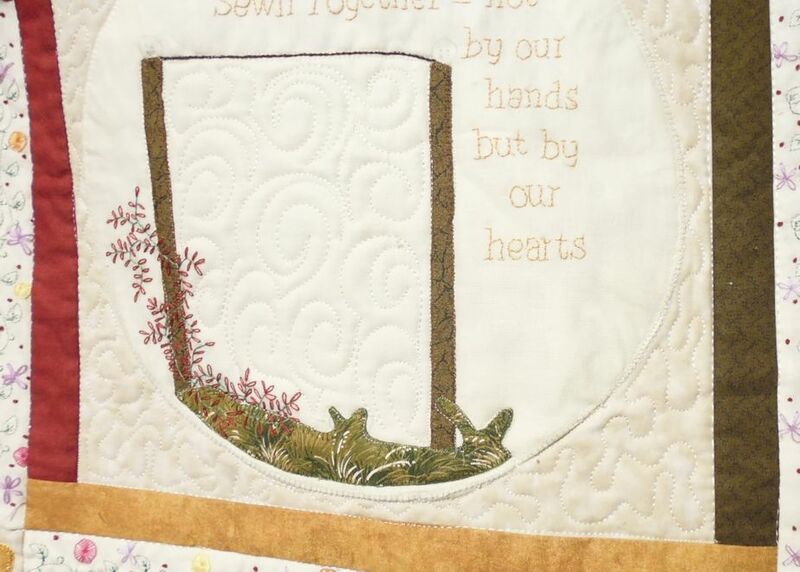 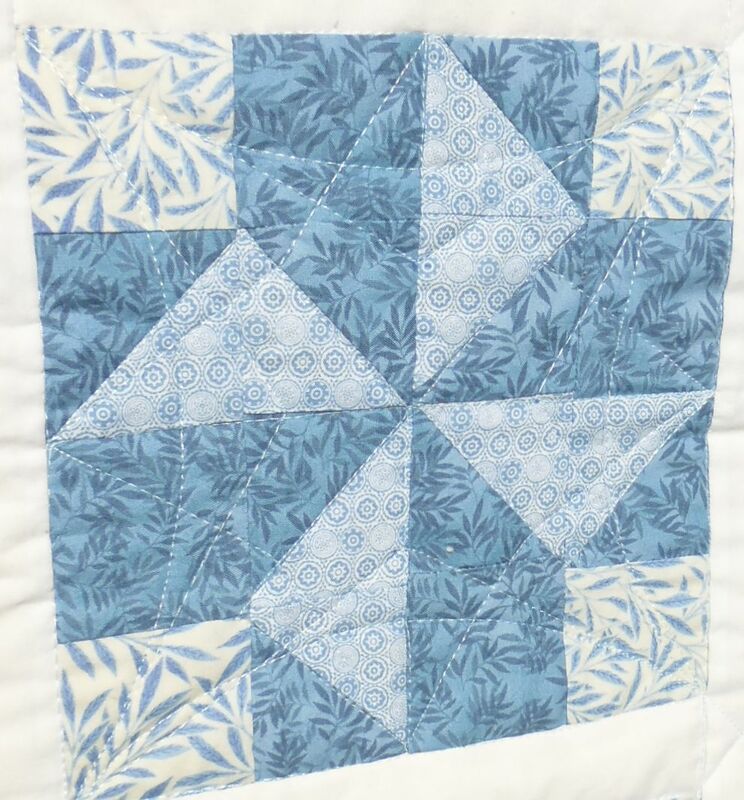 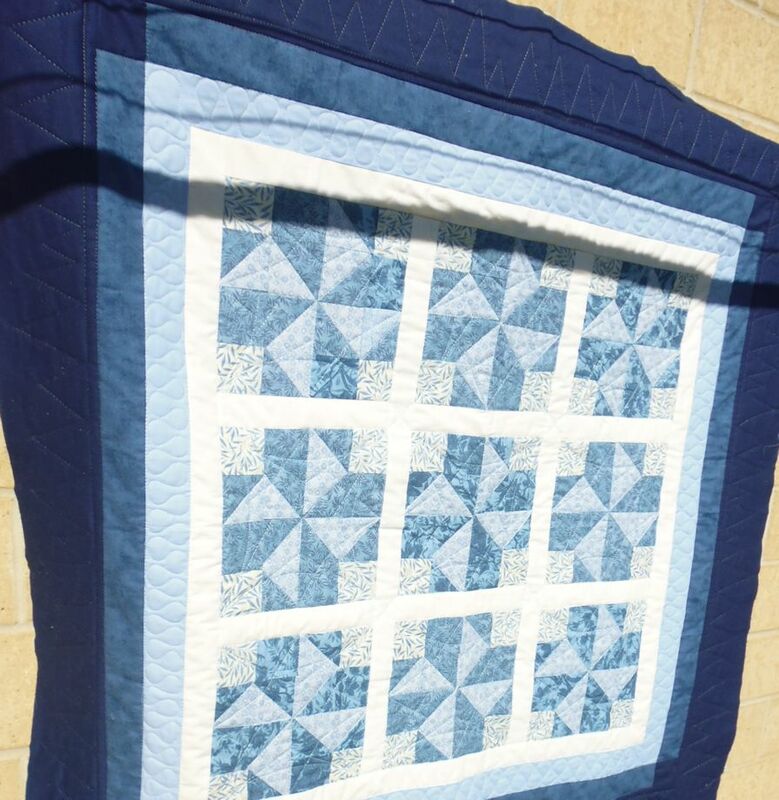 For this one, I used one of templates designed by Cindy Needham for the star pattern in the blocks. 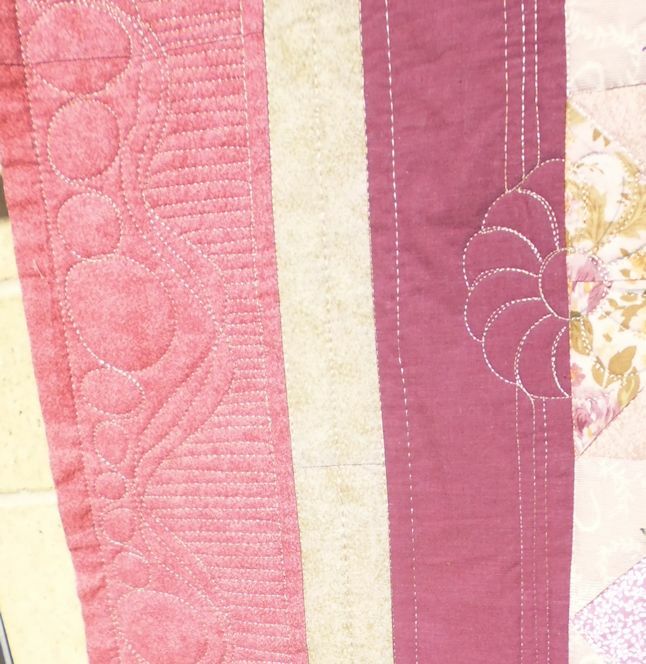 I used more of Cindy Needham’s templates for the flower motif in the borders, and for the sweeping curves in the outer border. 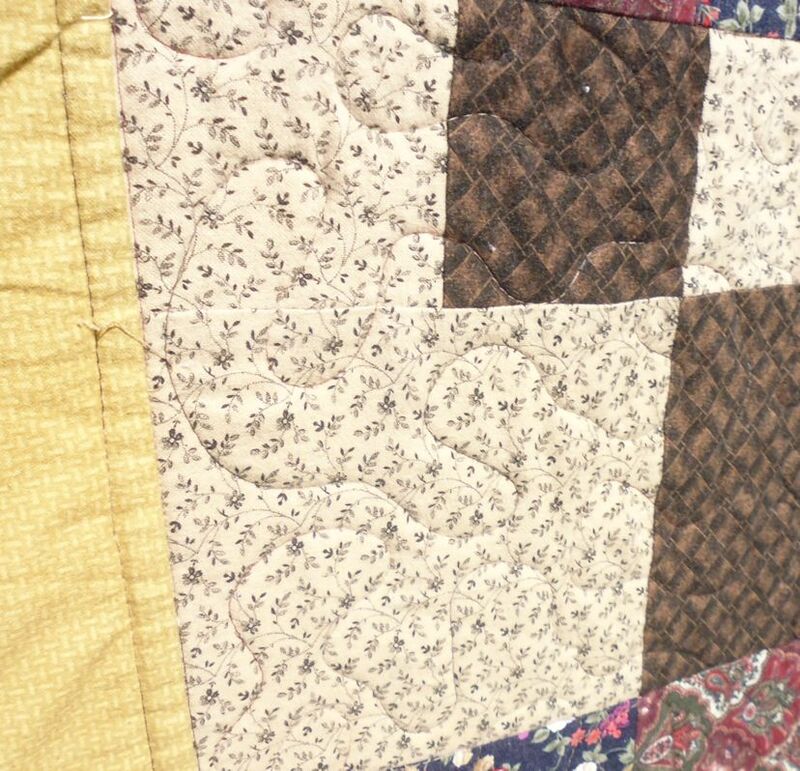 I then echoed the sweeping curves, crossing over them to create a ribbon effect. 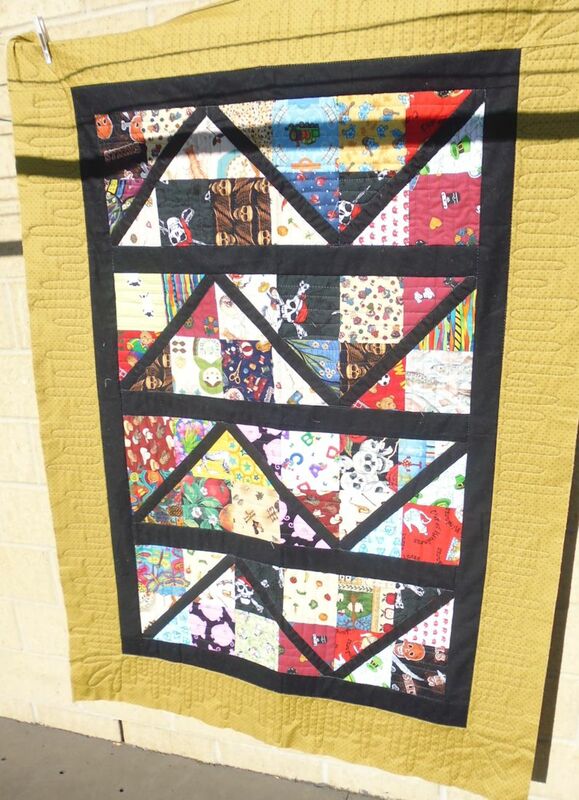 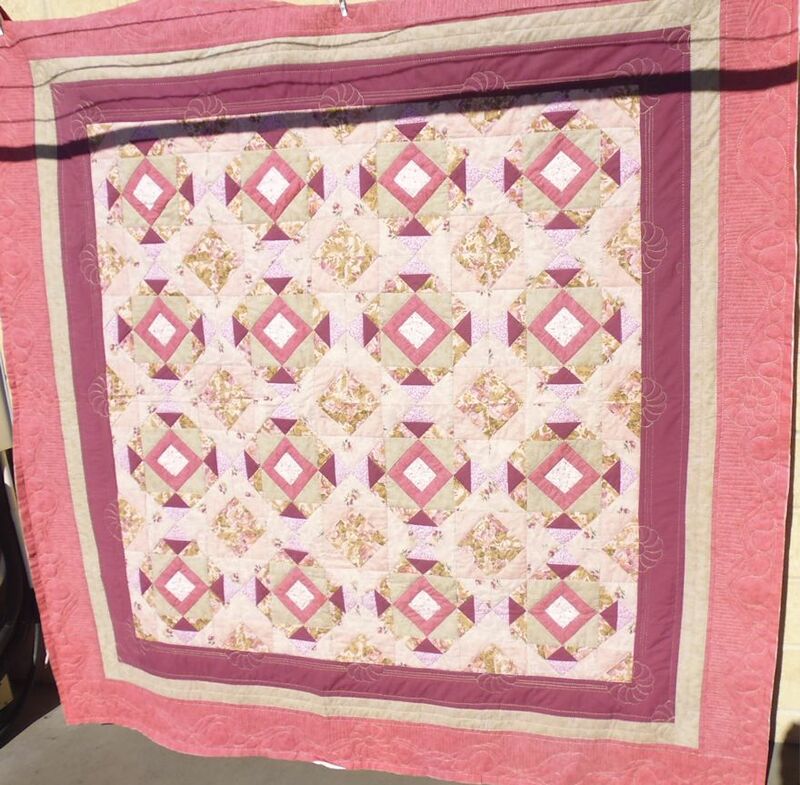 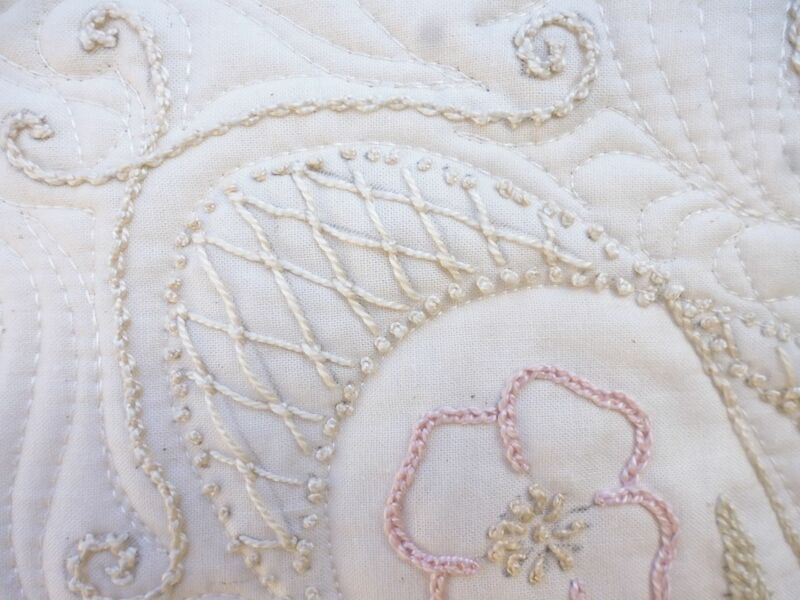 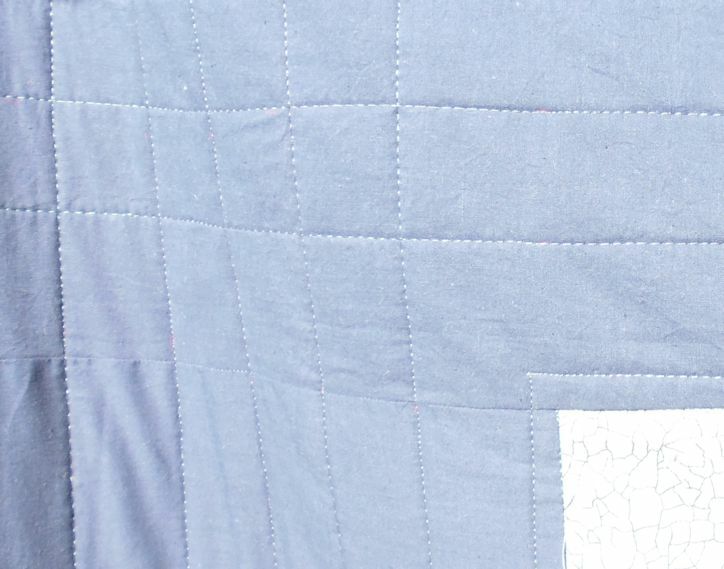 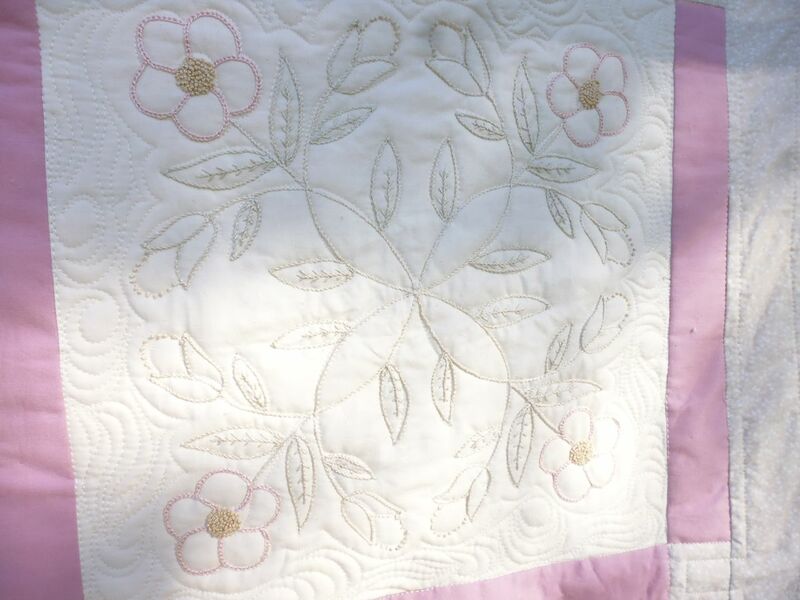 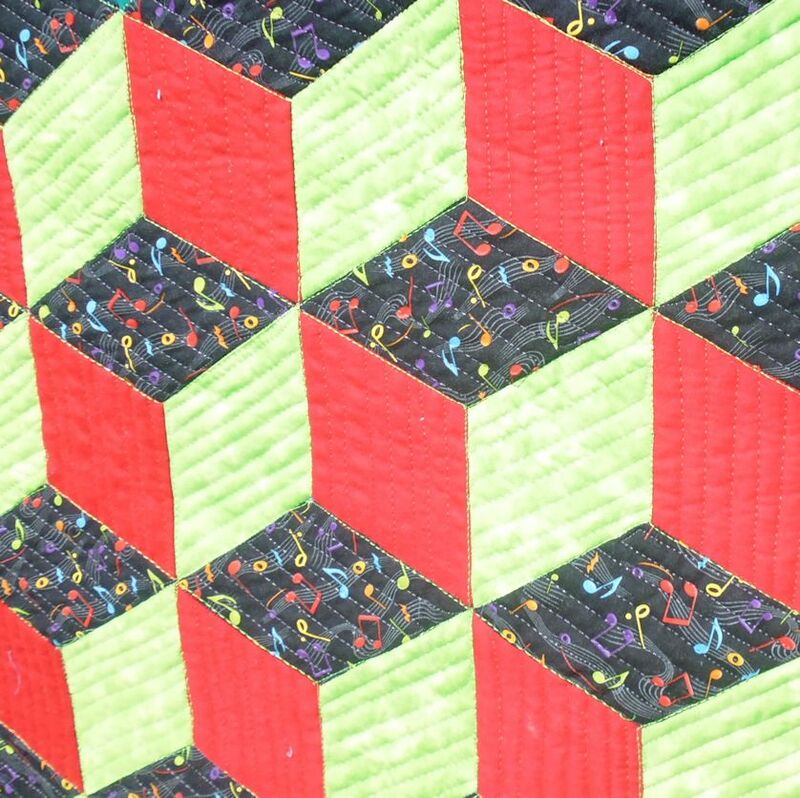 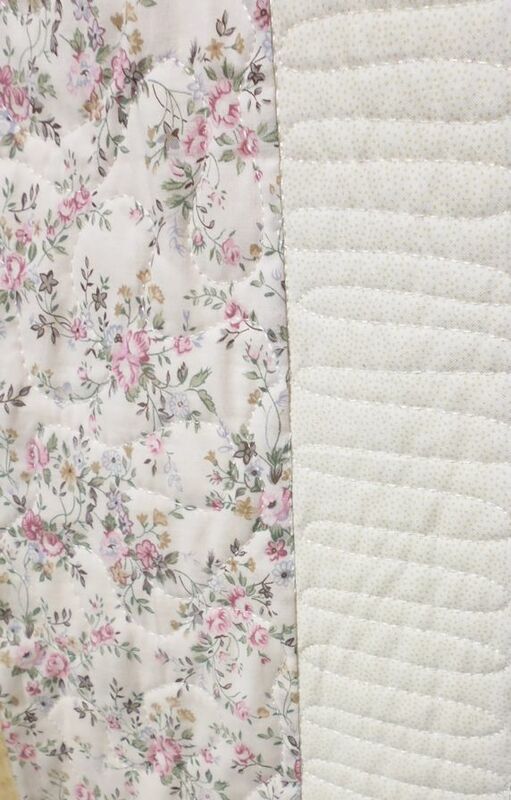 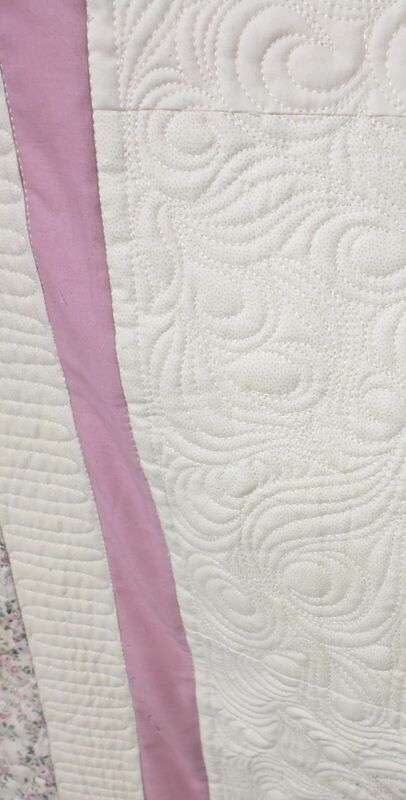 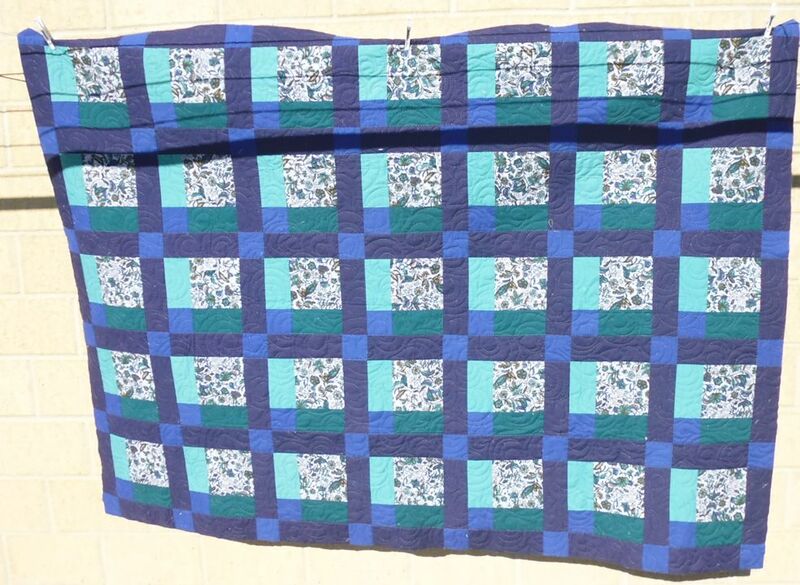 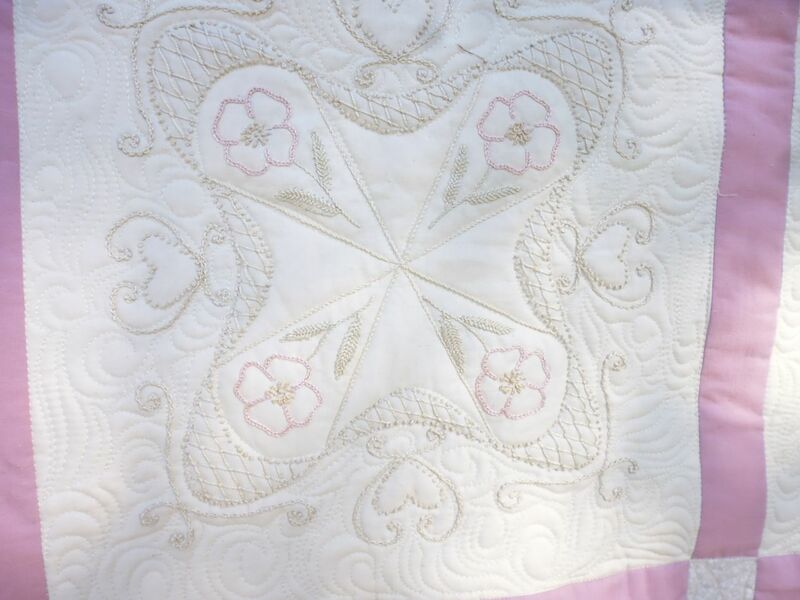 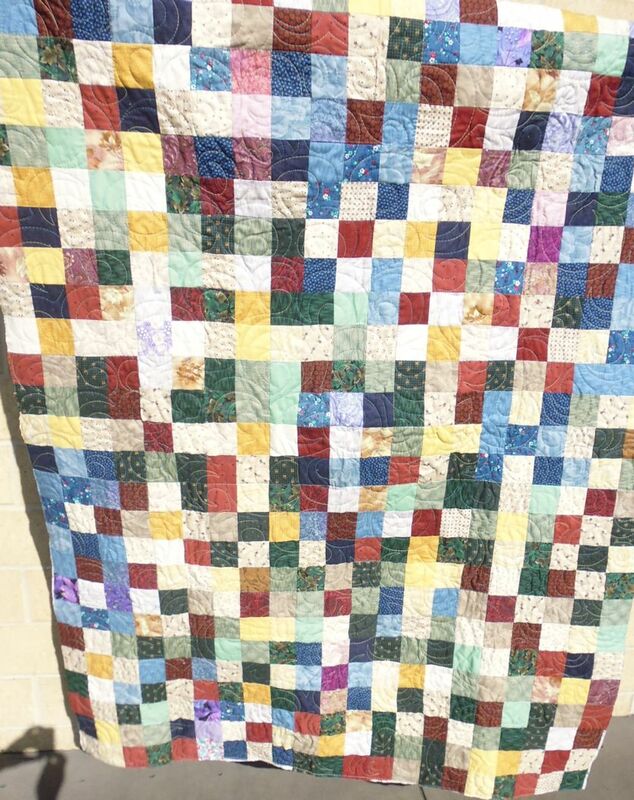 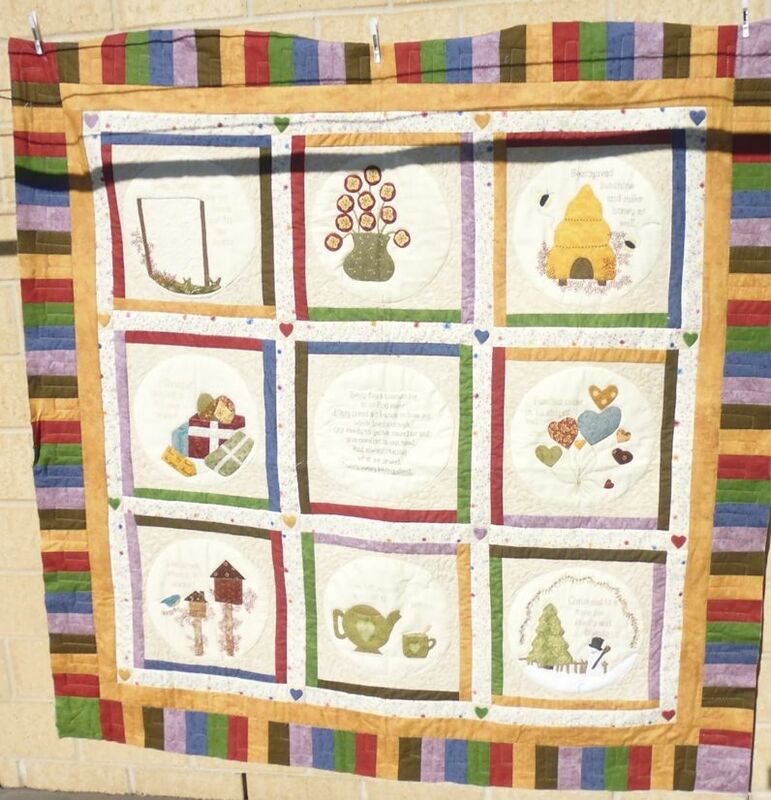 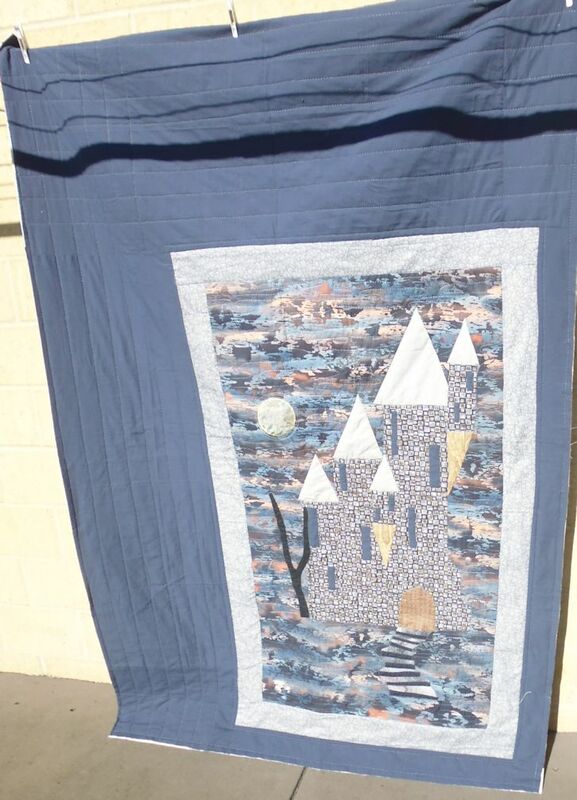 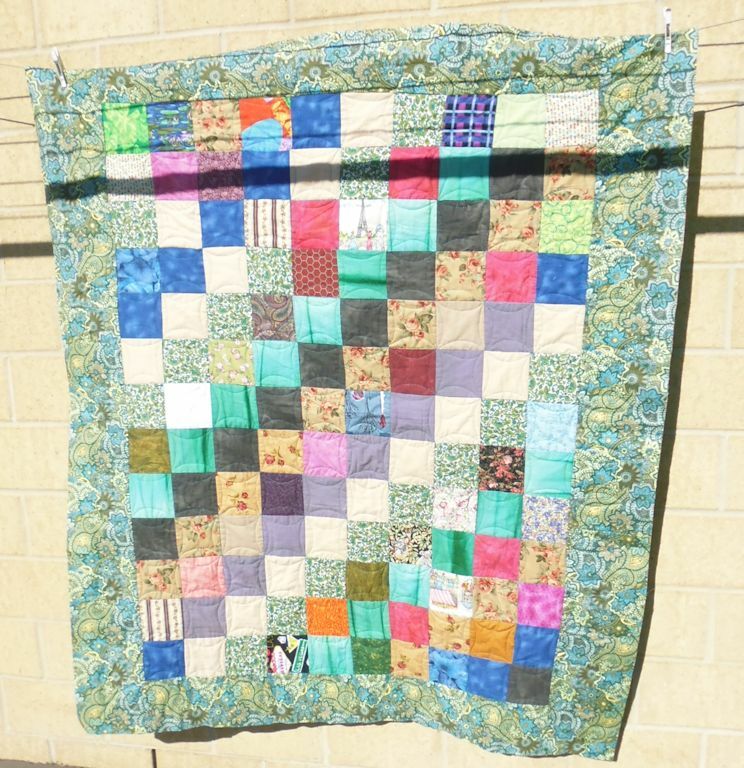 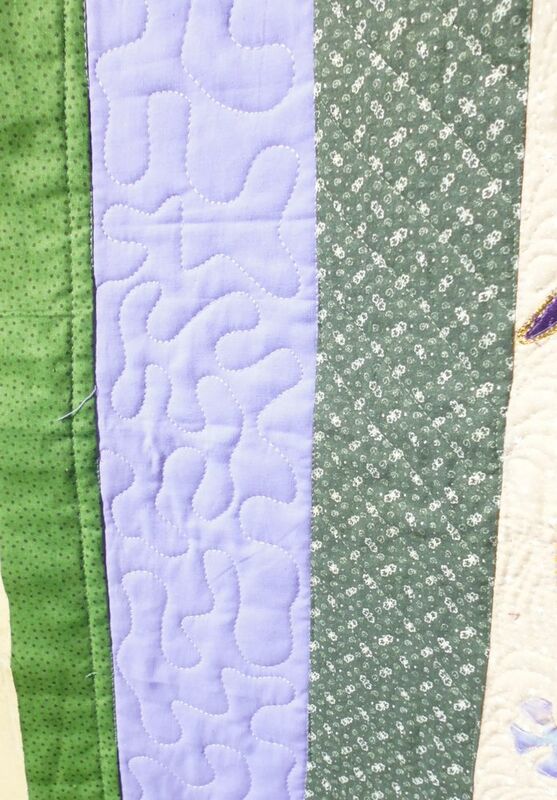 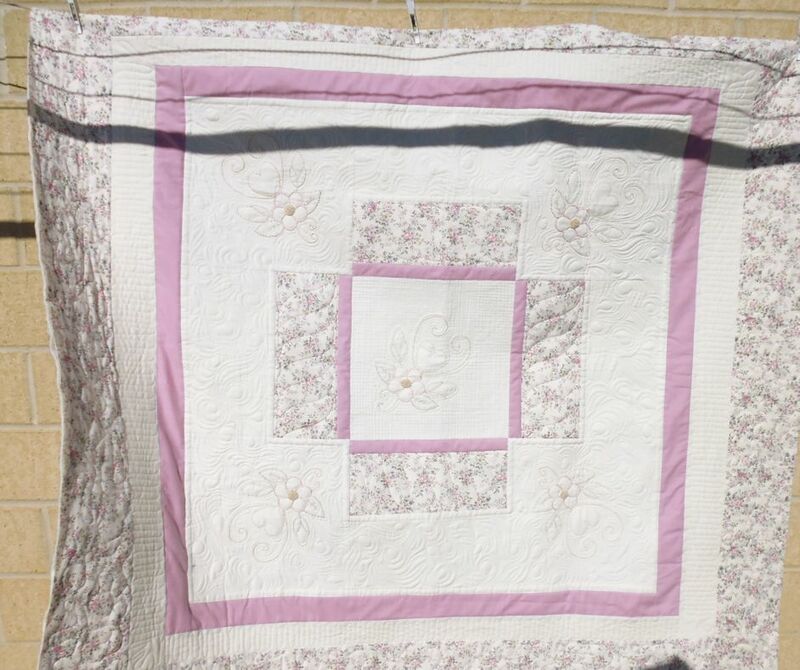 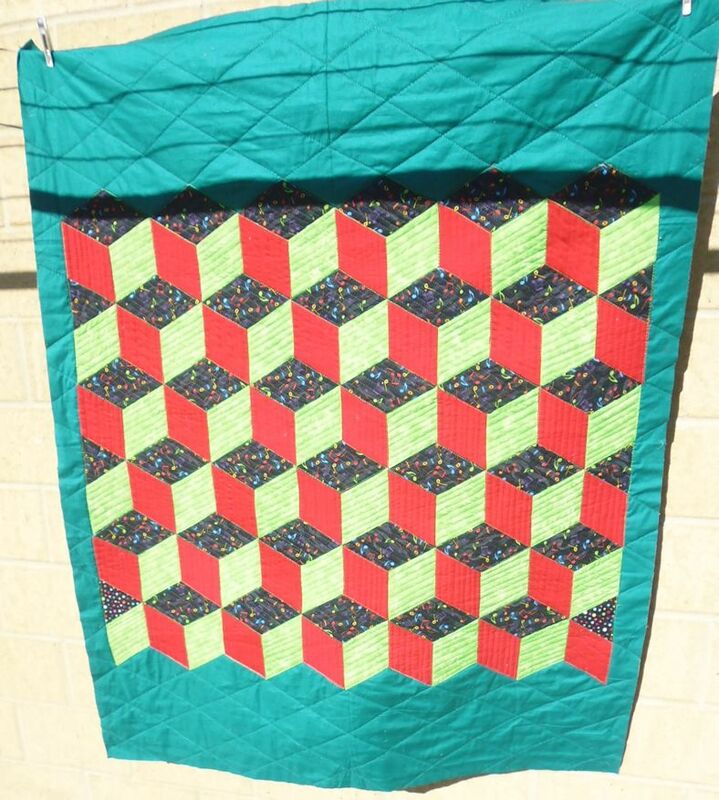 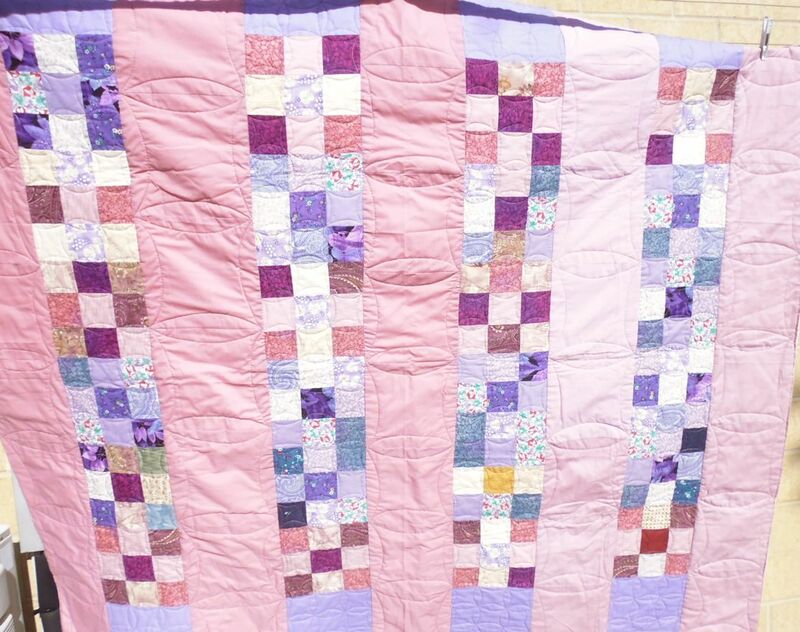 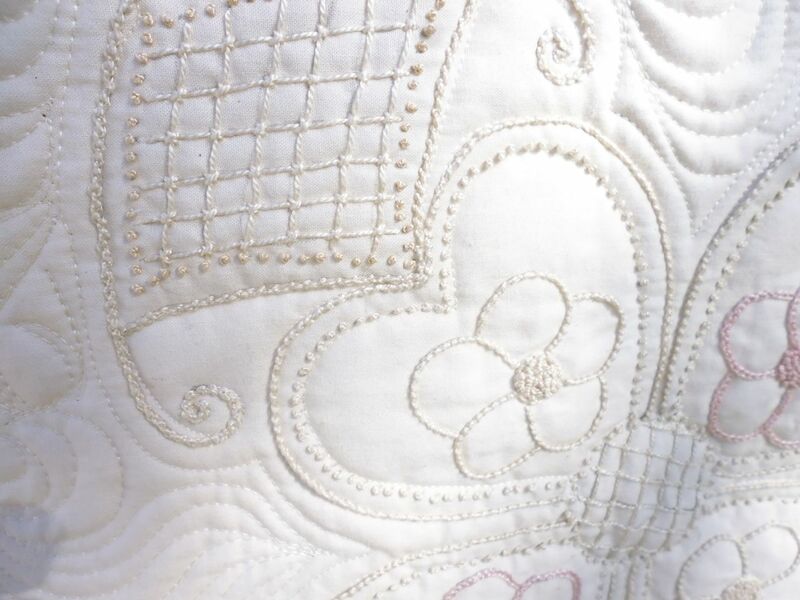 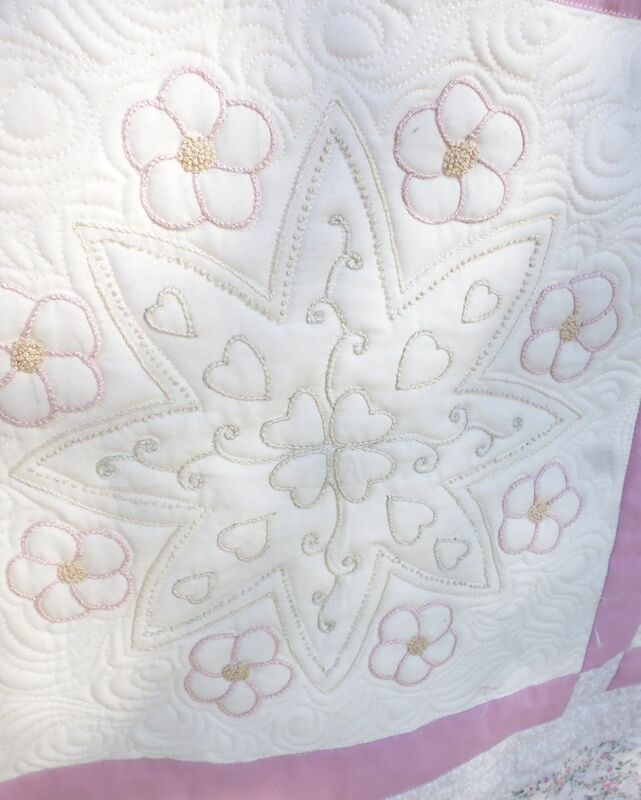 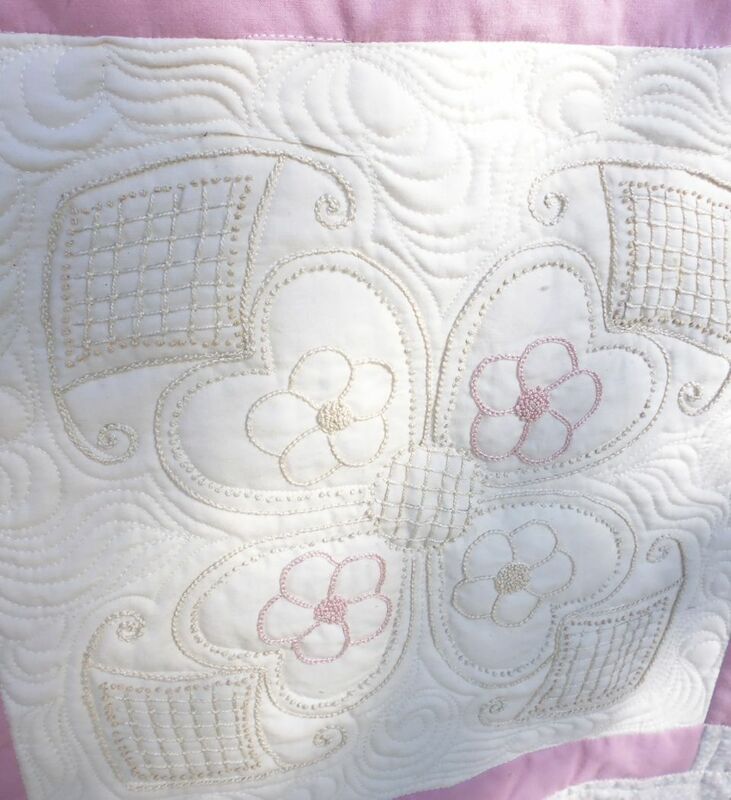 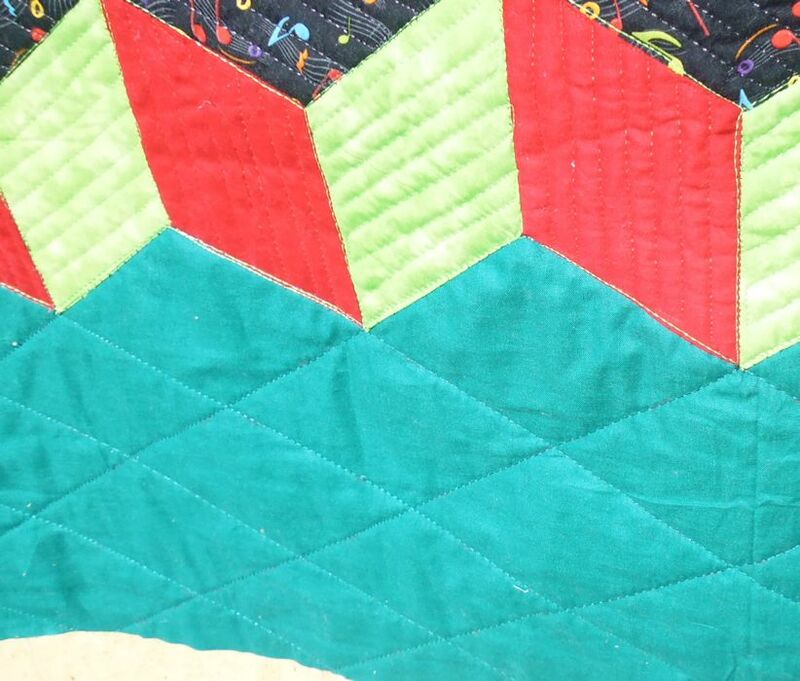 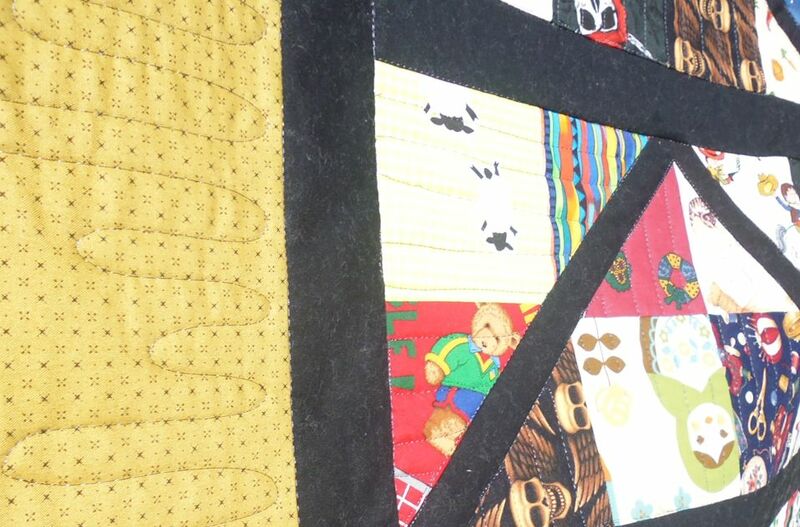 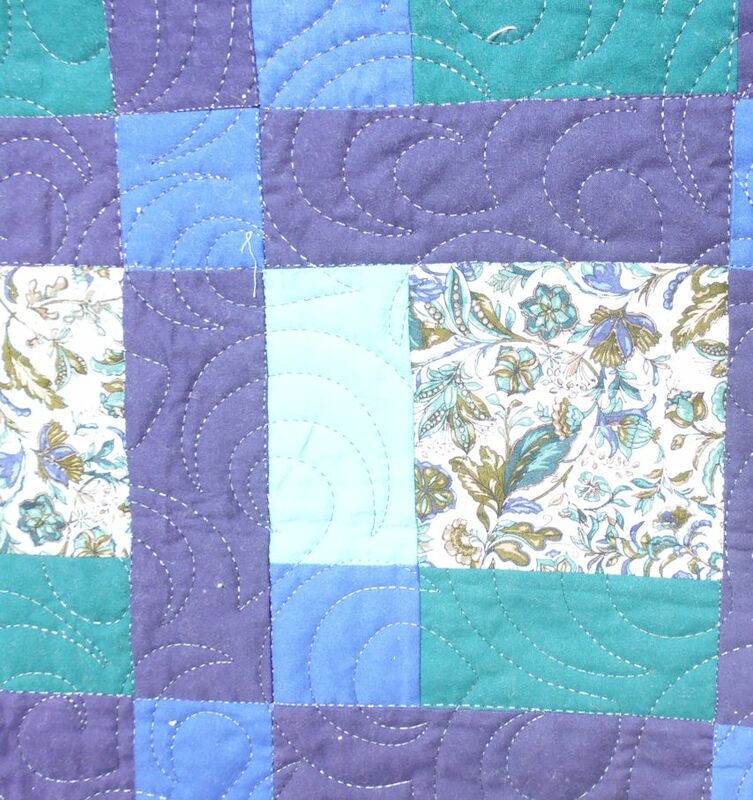 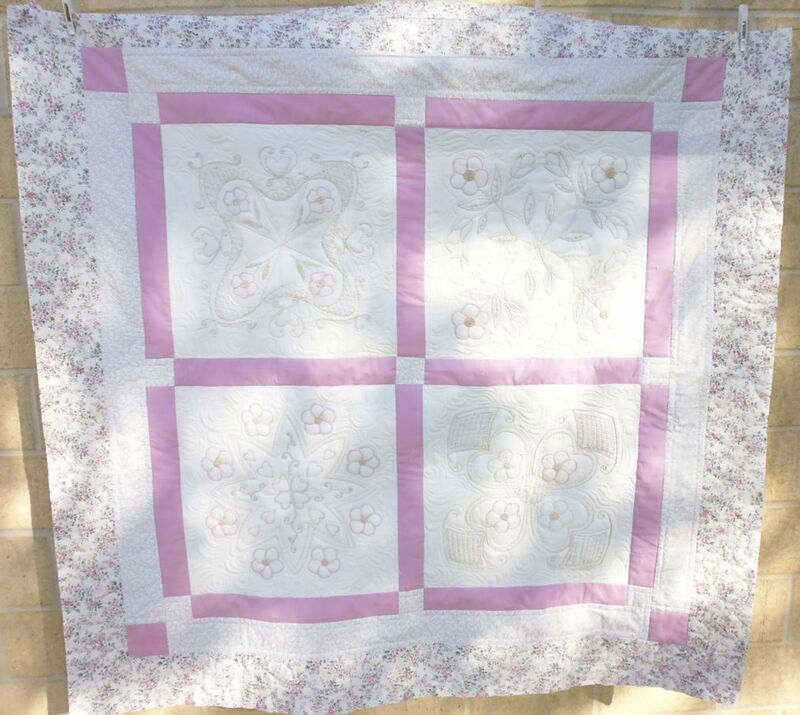 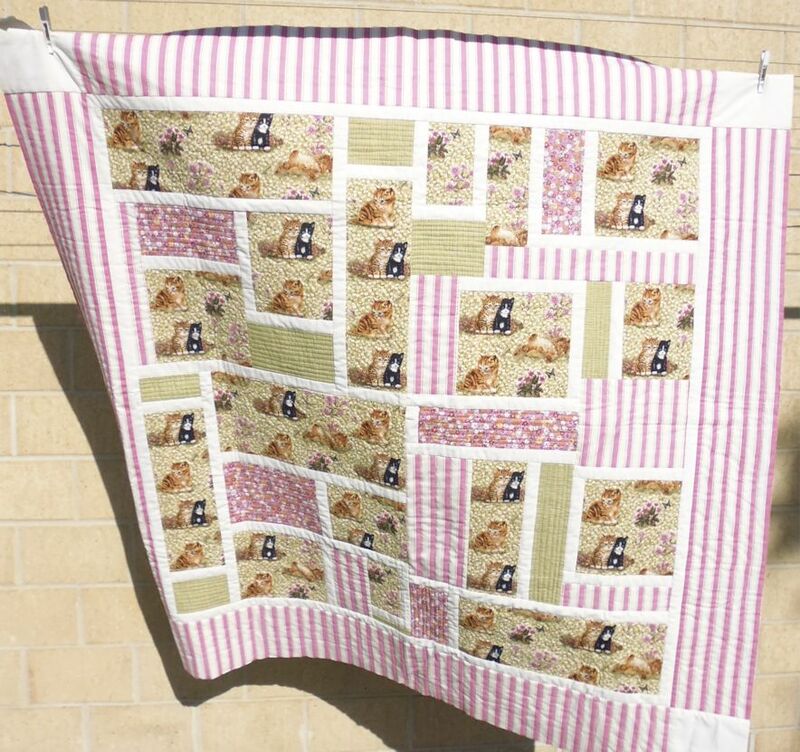 This quilt was similar to #400 (above), with all that candlewicking. 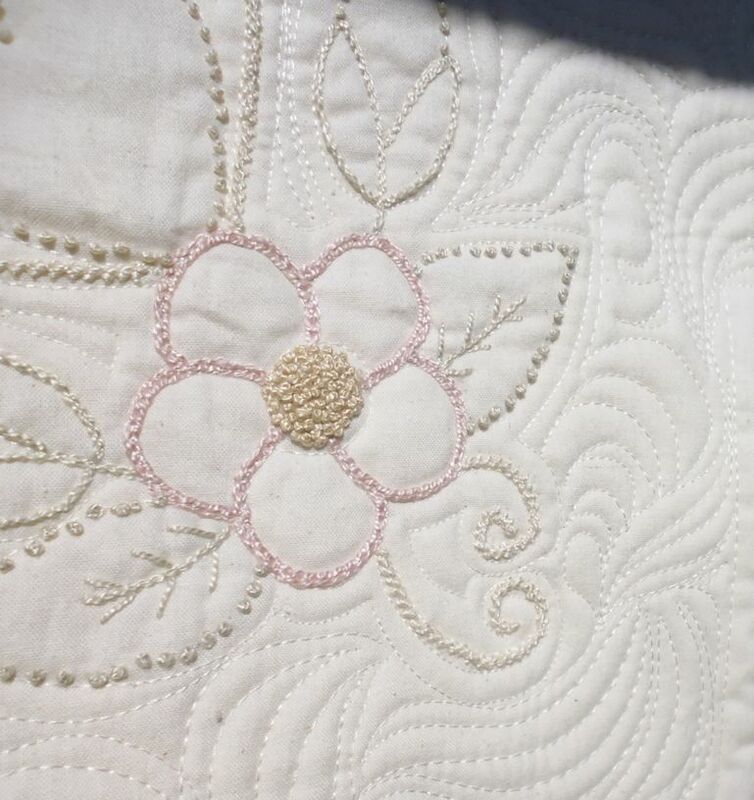 As with #400, I stitched around each of the main embroidery lines, then echoed them, then did MacTavishing in the blocks to make the embroidered areas ‘pop’. 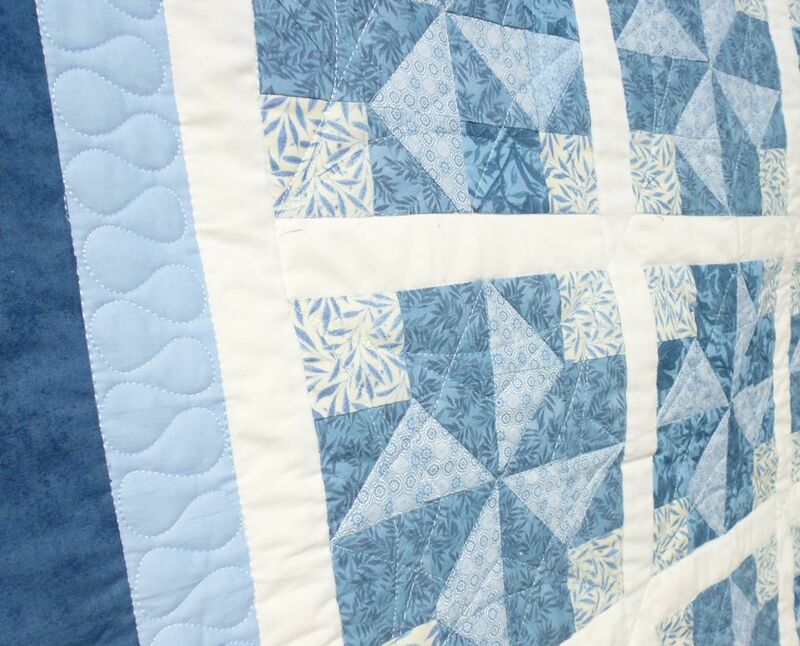 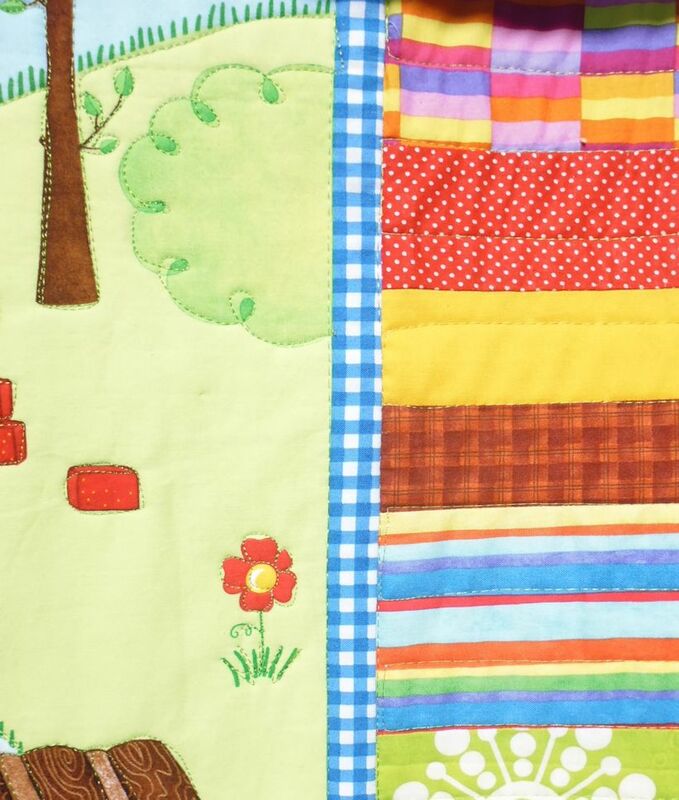 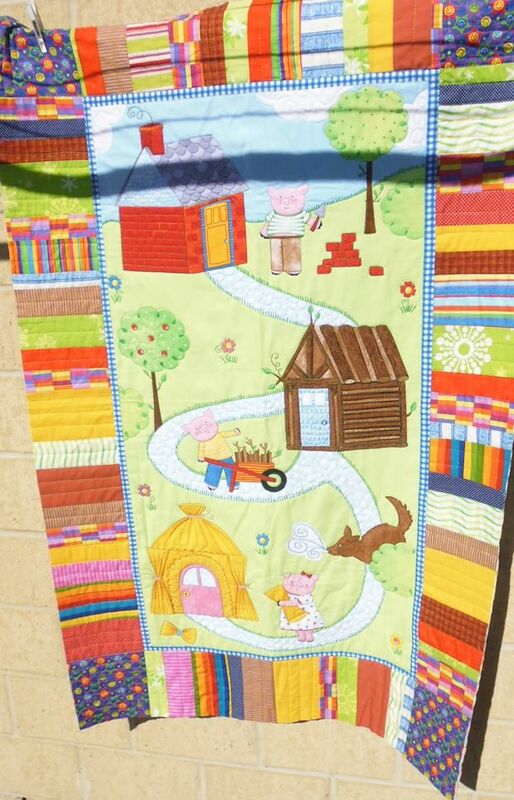 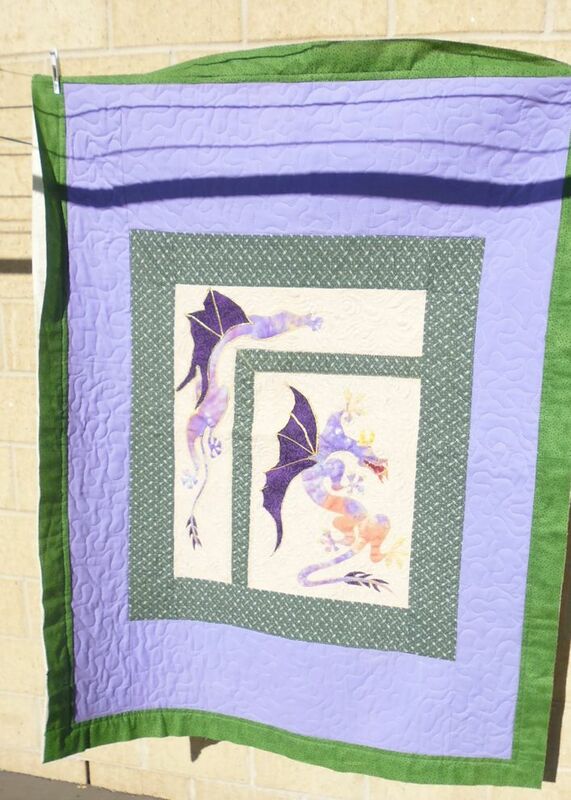 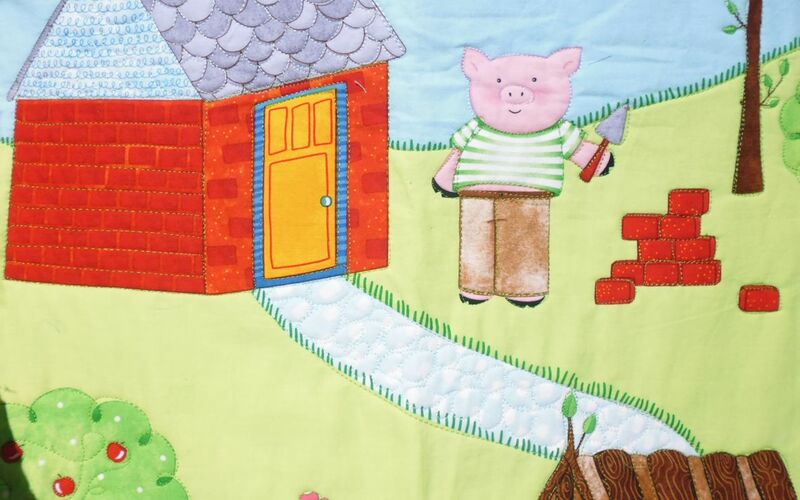 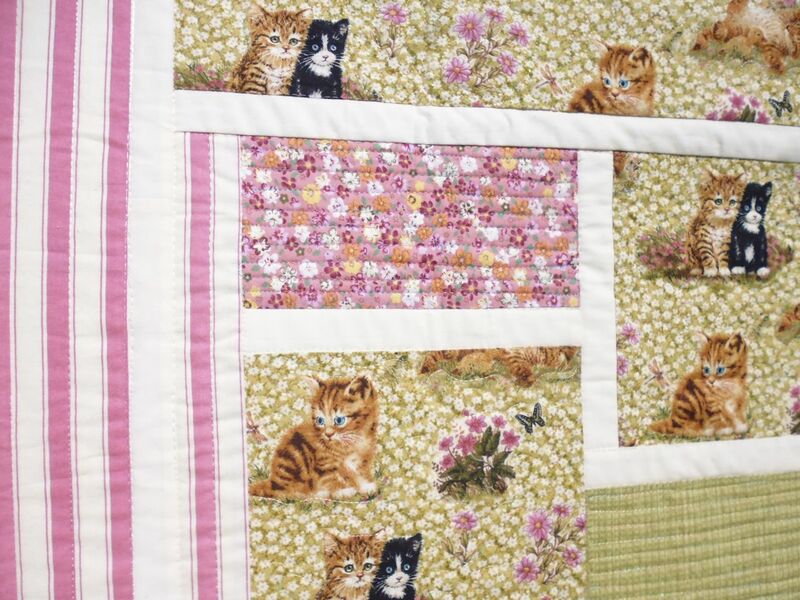 You do such a great job on these quilts. 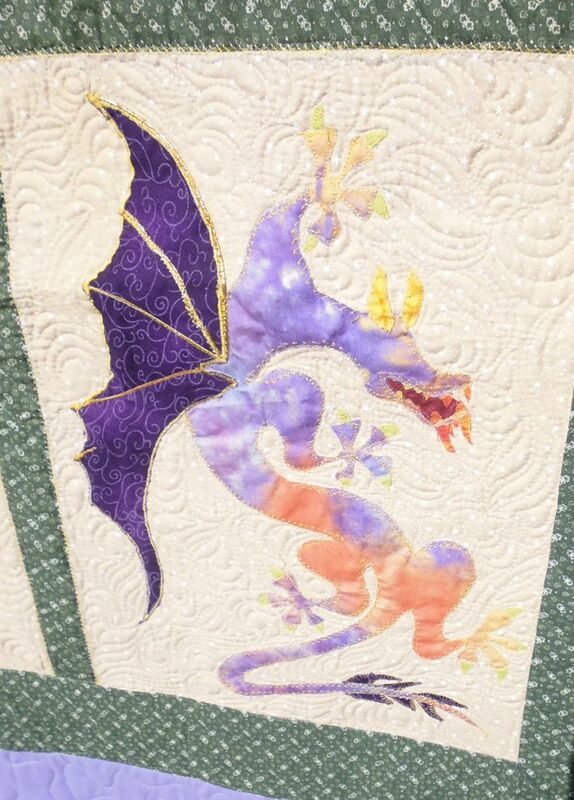 You are my inspiration to keep trying!